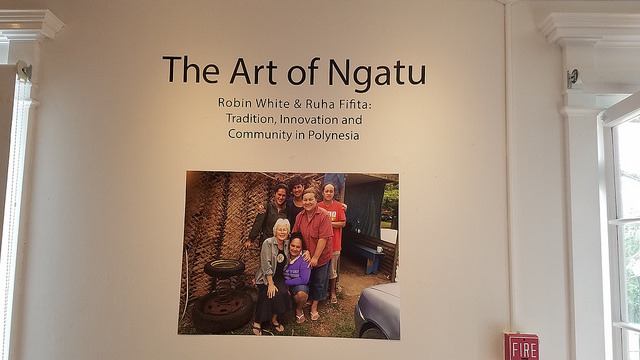 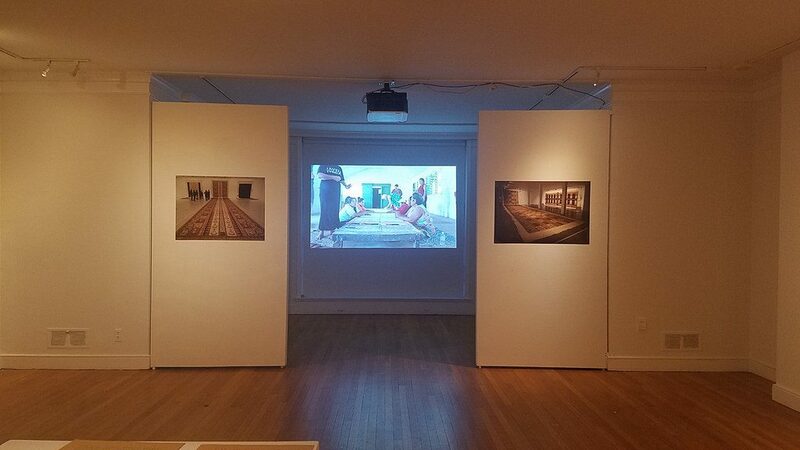 The exhibition, The Art of Ngatu by Robin White and Ruha Fifita: Tradition, Innovation and Community in Polynesia, featured the work of Dame Robin White (New Zealand) and Ruha Fifita (Tonga) at the Mulberry MIX Gallery from April 17 to June 20, 2017. 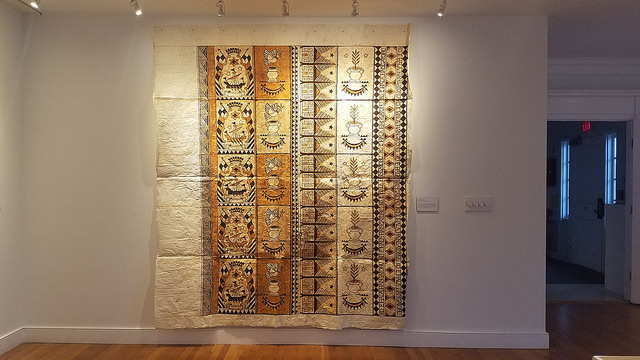 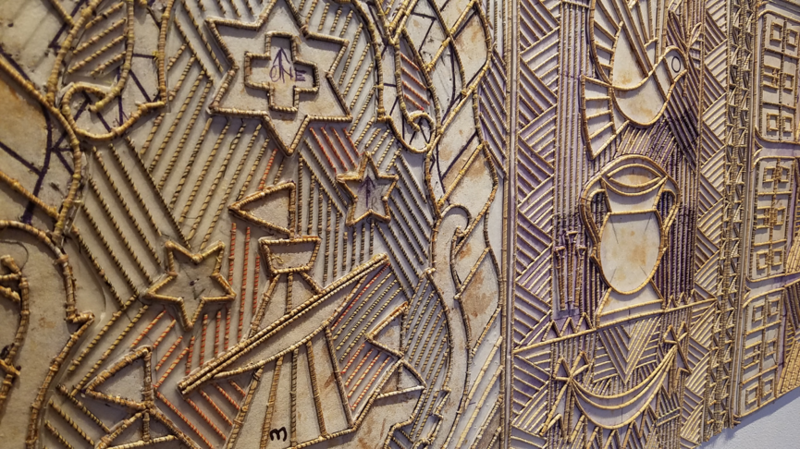 The artists collaborated with groups of women to make painted tapa (beaten bark cloth), called ngatu. 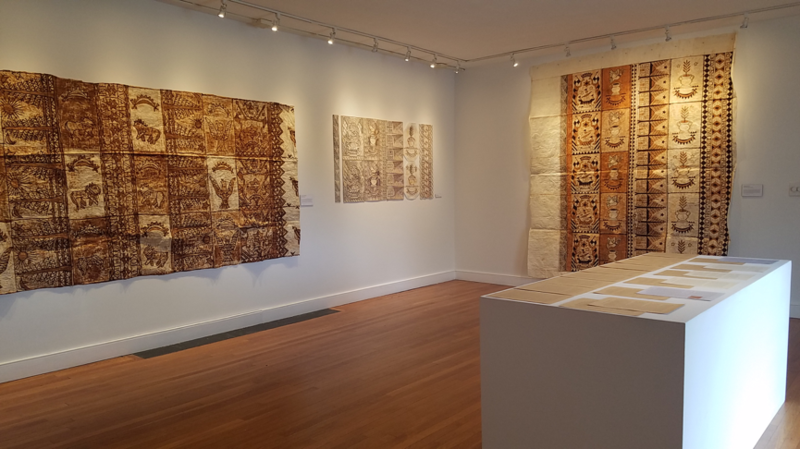 White and Fifita describe their ngatu as a hybrid work integrating traditional patterns and design with contemporary imagery and narratives. 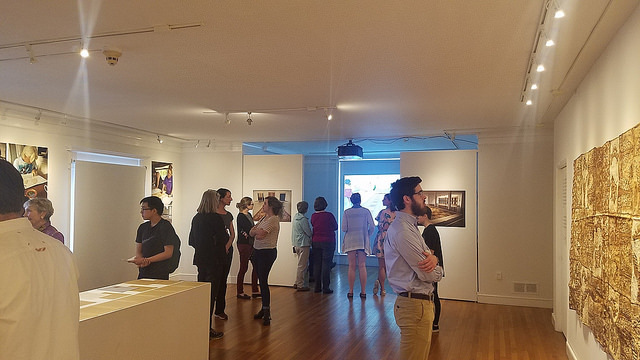 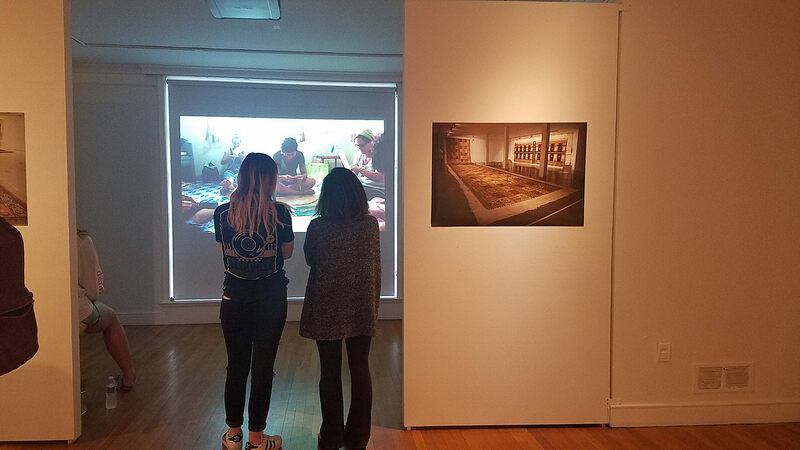 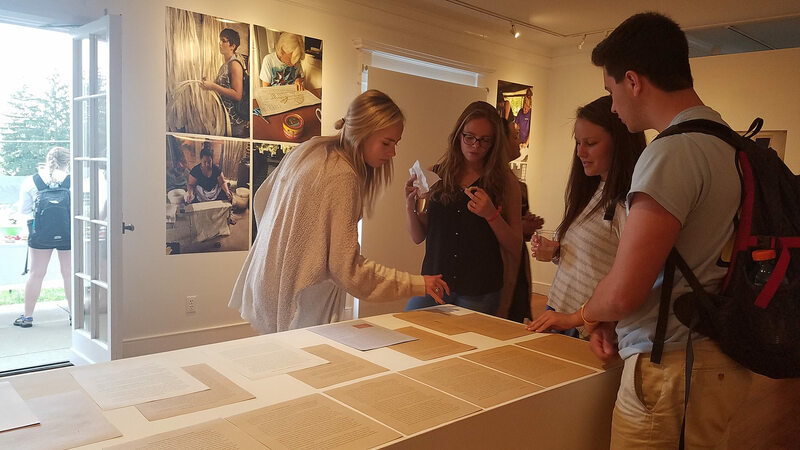 Students in Arts of Oceania (Spring 2017) researched questions about tapa for the exhibition and wrote short essays based on their research. 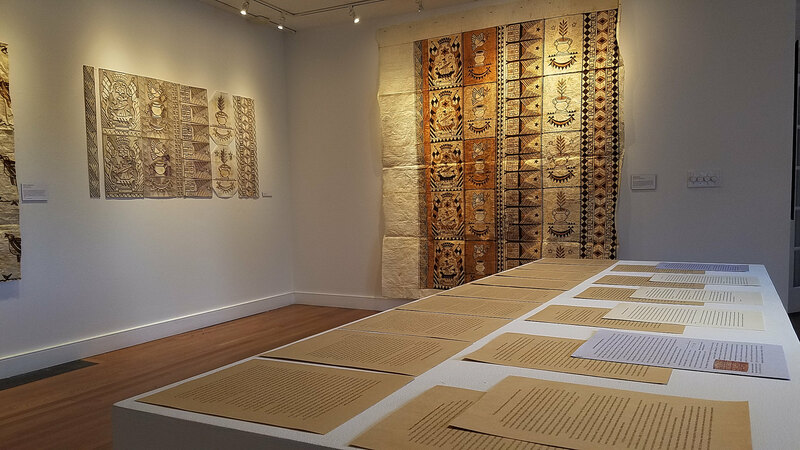 The essays were displayed in the exhibition (see examples: essay 1, essay 2, and essay 3). 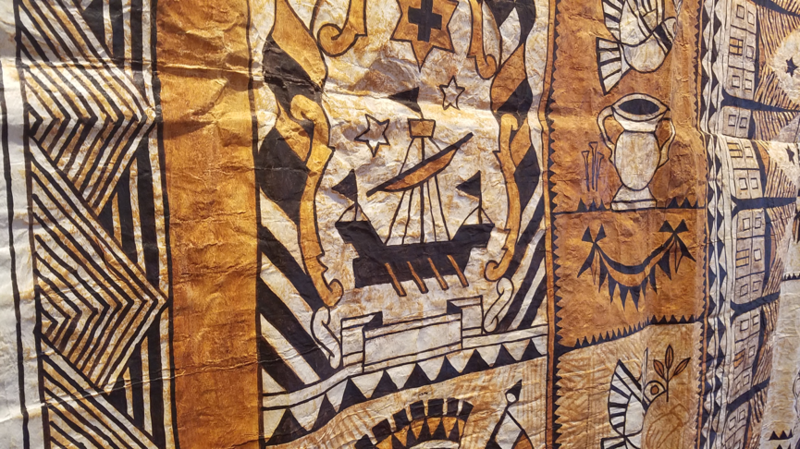 Their research addressed several aspects of tapa, including its history, its production in women’s collaborative artistic workshops, its transformation in our contemporary global economy, and its relationship to other expressive forms in Oceania.